On Monday we heard a rumor that the Samsung Galaxy Note 10.1 LTE Verizon release date would be March the 7th, and now Verizon Wireless have confirmed that they will be offering the tablet from tomorrow. Verizon Wireless will be offering the Samsung Galaxy Note 10.1 LTE for $599.99 on their network, and they have also said that users can add the device to their Share Everything account for $10 a month. 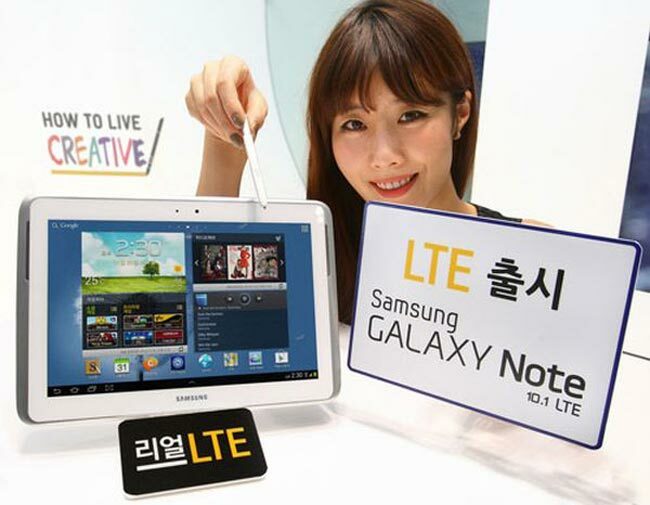 The Samsung Galaxy Note 10.1 LTE comes with Android 4.1 Jelly Bean and features a 10.1 inch display with a 1280 x 800 pixel resolution, the device is powered by a quad core Samsung Exynos 4412 1.4GHz processor and the device also comes with 16GB of built in storage. Other specifications on the Galaxy Note 10.1 LTE include a front facing 1.9 megapixel camera for video calls and a rear facing 5 megapixel camera for photos and video, the device also features 2GB of RAM, Bluetooth 4.0, a 7,000 mAh battery and a microSD card slot, you can find out more information over at Verizon at the link below.